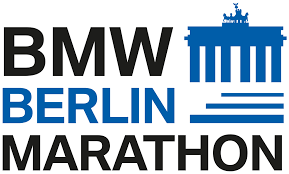 Back on My Feet has charity entries for the BMW Berlin Marathon on September 29, 2019. The BMW BERLIN-MARATHON is famous for its fast pavement! Numerous world best performances and world records have been set in the past few years. The atmosphere in Berlin is world-class, as well. Runners are entertained by musical support along city course – with about 80 bands putting on their own ‘music marathon’ – and are carried to the finish by countless spectators. It is an unforgettable experience for every marathon fan! Space is limited on the team and will be distributed first come, first served – so sign up now! In the case we are sold out we will start a waiting list for our team. As a part of your commitment, you will be required to raise a minimum of $3500 to support Back on My Feet. There is a $50 registration fee to reserve your spot. This fee will be applied to your fundraising minimum. **Back on My Feet does not cover travel expenses to and from Germany for the race. We strongly recommend the usage of the race’s official travel partners for making all reservations. Please read the waiver carefully as you register. For official BMW Berlin information click here!